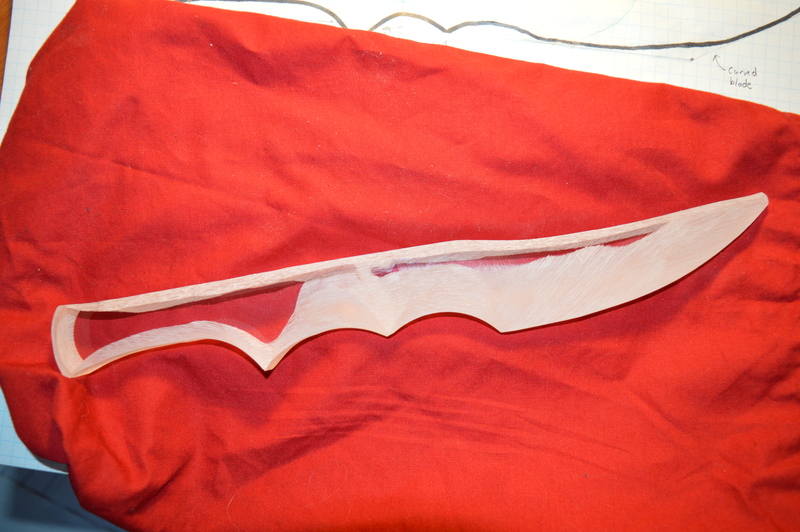 This is the seraph blade that I made for Randi’s wee Shadowhunter daughter. The grip, as you can see, is made for the small hand of a child and while it is a dagger to most of us, it will make a nicely sized short-sword for her. I found a lovely video by Bookishpixie that neatly summarizes how to get out of a writing slump. Always a good reminder! And now you know! Thanks Bookishpixie! A sample of things to come! 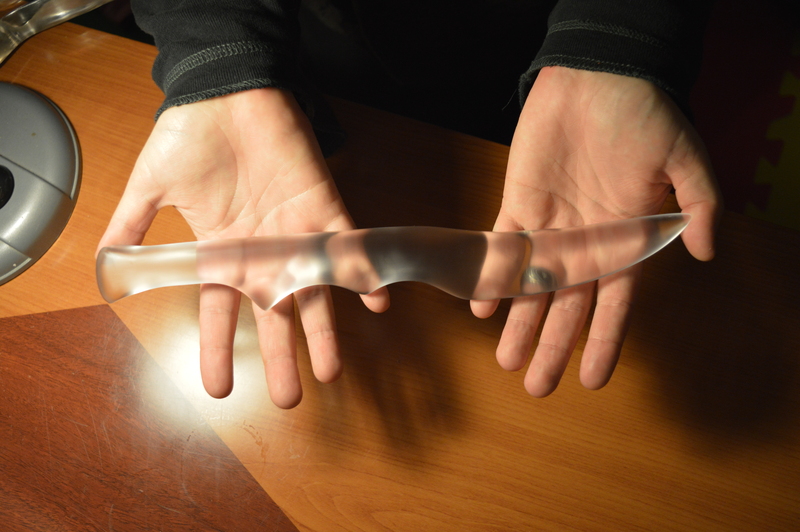 This seraph blade has its basic shaping completed. Hours more of smoothing and polishing await it. Each blade is designed to the buyer’s specifications. 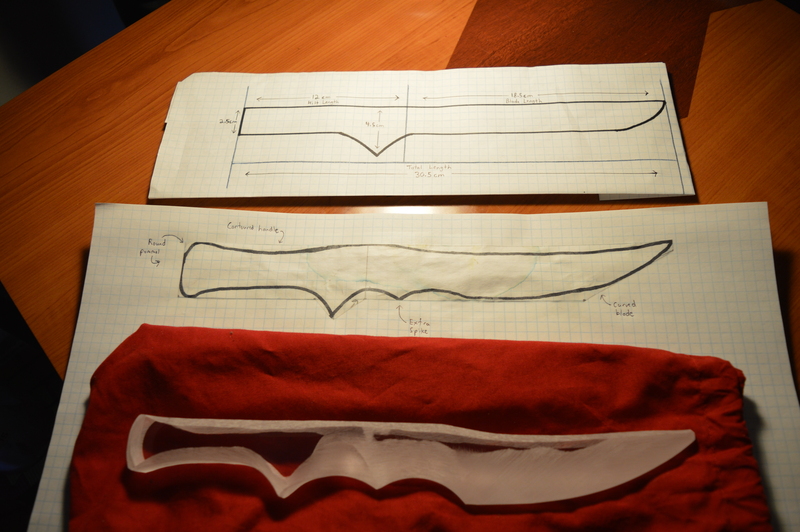 We start with a basic model, make modifications, and shape the blade as desired. If you’d like one of your own, here is an FAQ where you can find purchasing information. Happy hunting! It’s tempting to “soften” our writing with words that weaken its impact. While it’s been said that writing is an act of baring one’s soul to the world and is thus inherently intimidating, we do ourselves no favours by being shy about it. 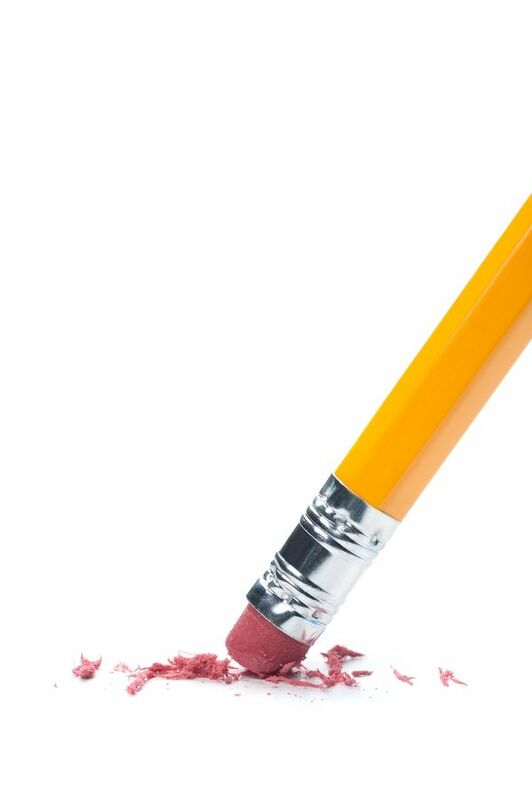 To that end, here are five words you can chop right now to strengthen your writing. Click to read more.